known, but that's not all of what makes it so special. Available in many natural colors, these no dye colors are completely hypoallergenic. 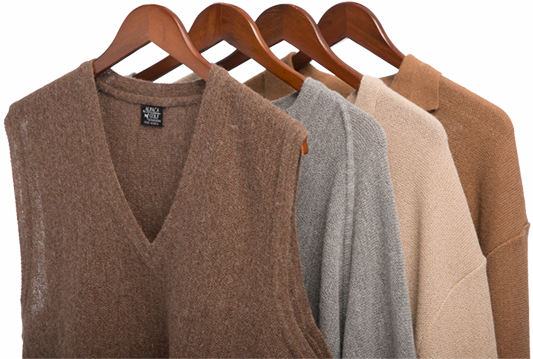 Alpaca does not contain any lanolin, which is the allergen found in other fibers - most commonly wool. Alpaca wool creates pockets of microscopic space with the ability to hold air inside, heating via the animal's body warmth, or insulating against the heat of the sun. Alpaca is the perfect coat for the course since it's a natural barrier to keep cold air from getting to the skin and in the heat of the day, keeping you comfortably cool. due to it's natural resilience to tearing or breaking. our sweaters strength & Flexibility that lasts round after round.